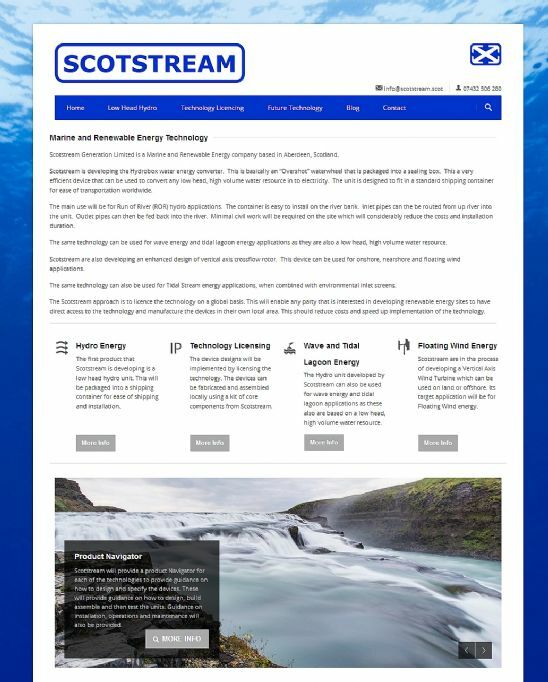 Scotstream Generation Limited is a Marine and Renewable Energy company based in Aberdeen, Scotland. Scotstream is developing the Hydrobox water energy converter. This is basically an “Overshot” waterwheel that is packaged into a sealing box. This a very efficient device that can be used to convert any low head, high volume water resource in to electricity. The unit is designed to fit in a standard shipping container for ease of transportation worldwide.